﻿ PROPHET ISA (Peace Be Upon Him) — Who Was Prophet Isa? 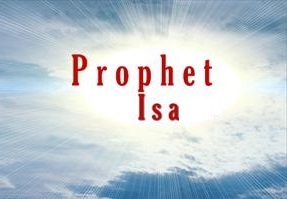 Isa (Arabic for "Jesus") is a very important prophet in Islam. The Quran mentions Isa in 93 ayat ("verses"); only Adam, Noah and Moses are mentioned more times. The Quran also says that Isa is a prophet who performed miracles, which Muhammad could not perform. But ultimately, Islam deems Isa to have been a prophet and nothing more than a prophet. The fact that Jesus was claiming to be God with the words, "I AM" is confirmed by the reaction of His persecutors who immediately tried to stone Him to death for what they thought to be blasphemy. Next, follow the logic tree on the right. If Jesus' claim was false and he knew it was false, then He would have been a "LIAR." If His claim was false and He didn't know it was false, then He would have been a "LUNATIC." On the other hand, if His claim was true, then He is God - "LORD." The one thing Jesus couldn't have been is a prophet since a prophet cannot make a statement about himself that is false. Of course, if Jesus was telling the truth in this case, then He is God, not just a prophet. Wrestle with the diagram above. Logically, you have no choice but to concede that Jesus could not have been a prophet if the above and other Bible passages are true. This raises questions about Tahrif, the notion that the Bible passages like the one above have been changed by the Jews and Christians, and the Trinity.